Jim’s weekend trip to Paris in March 1988 was mostly for pleasure – a few days vacation after a week of directing “The Heartless Giant” episode of The Storyteller in London – but he took time to meet with Jerry Juhl and Larry Mirkin to discuss plans for The Jim Henson Hour. 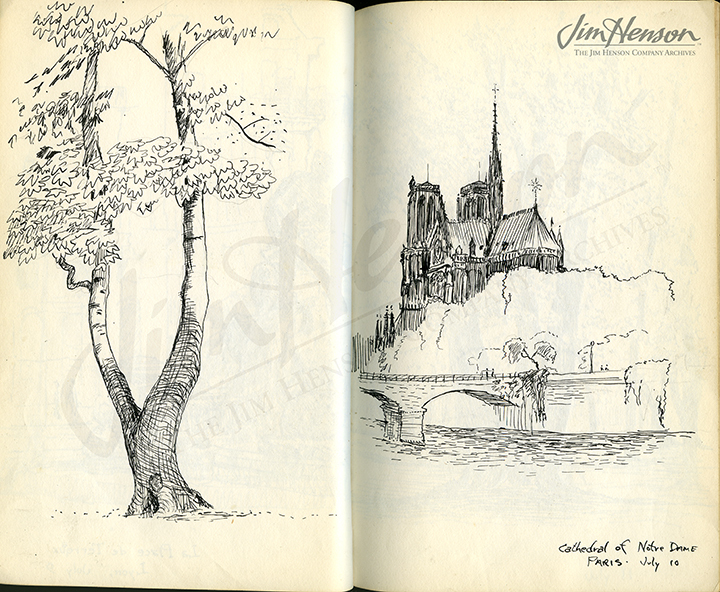 He had been to Paris many times, but perhaps his most memorable visit was a longer stay in 1958 as part of a six-week European sojourn. He was exposed to a vibrant puppet theater community there and saw the deep appreciation Europeans of all ages had for this art form. Having left the United States with some doubts about continuing with puppetry, Jim returned inspired and energized. 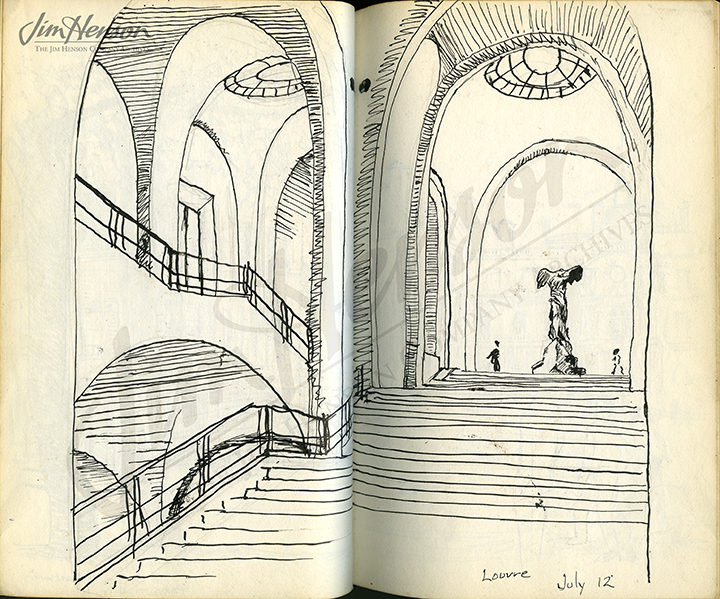 Learn more about his 1958 trip. Jim’s sketch of the Cathedral de Notre Dame in Paris, 1958. 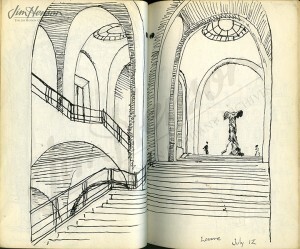 Jim’s sketch inside the Louvre museum, Paris, 1958. 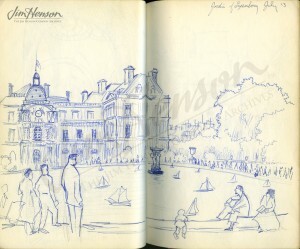 Jim’s sketch of the Luxembourg Gardens, Paris, 1958. This entry was posted in 03-March '88, 1988, Jim Henson Hour and tagged Jerry Juhl, Larry Mirkin, Paris. Bookmark the permalink.